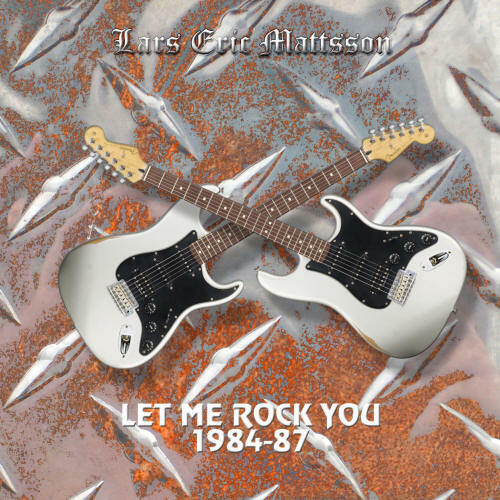 LET ME ROCK YOU (1984-87) is the sequel to HOT AND ABLE (1983-85), Lars' first album made up of his early songwriting but in newly recorded versions. LET ME ROCK YOU consists of 16 tracks of which the title track and "Take Me Home" were released on a single by his band ETERNITY in 1987. Most of the other tracks here were also performed by ETERNITY but never recorded properly as the band split up as Lars was offered a solo artist recording contract. In 1987 Lars band at the time ETERNITY released a vinly single caller LET ME ROCK YOU which gave this compilations of new recordings of Lars material written between 1984-87. The single's B-side "Take Me Home" is also included here as well as 11 more songs as performed by ETERNITY back in the day. Rounding up the album you will find tree more songs dating back to Lars first serious band JOE COOL. When I released my first album “Eternity” in 1988 I had been making demos and performing a big selection of original music for five years already, mostly with my bands JOE COOL and ETERNITY but as I was so tired of them once I had secured a record deal I chose to write new material very fast instead. After having revisited the original demos many years later I came to the conclusion that there were some cool stuff that was never recorded in a good way and I should give it a shot. This almost 68 minute long 16 track album mostly focuses on the material I wrote in second half of this period although “Kiss the Sky”, “Run From Yourself”, “I Love to Rock” and “Clowns” dates back from early 1984. ”Leave Me Alone” ”I am the Torch” and ”Crusaders” were written in 1987. My band at the time, Eternity made a demo of them and we played them live a number of times. ”In Your Crystal Ball”, ”When it’s Time for Me to Go” and ”Stormchild” were demoed in 1986 but probably never performed live. The intro section of ”Stormchild” which I did not like very much has now been replaced with the theme from another unfinished song from this era. ”Always Get Burned” and ”Kiss the Sky” dates back to 1984 when I first demoed them but both were later also demoed and performed live my by band ”Eternity” in 1987. I even did a version of ”Kiss the Sky” for my 1988 debut album but chose not to include it for some reason. ”Clowns” (1984), ”Run From Yourself (1984)” and ”I Love to Rock (1985)” were written for and performed by my band ”Joe Cool”. ”I Love to Rock” (which originally featured a drum solo) was really just meant as a joke, and still is, though I think this new version turned out quite cool but it’s not to be taken too seriously! “Let Me Rock You” and ”Take Me Home” were released on a vinyl single by my band ”Eternity” in 1987. In the two previous years I had made several versions of ”Take Me Home” with different intros and tempos and I think it should have appeared on my debut album if it wasn’t for the fact that I had got too tired of it at the time. ”Witches Burning” and ”The Final Poem” were recorded in 1987 and released on a tape cassette mini solo album (The Final Poem) the same year. “Witches Burning” on this release is very different from the original which I did not have access to when I recorded this new version, so it’s all more or less just as I remembered itJ This self released mini album led me to my first recording contracts in Japan and Europe. 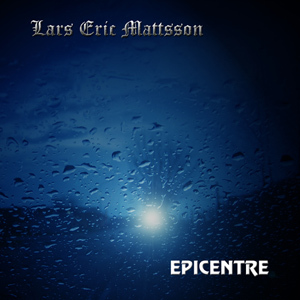 LARS ERIC MATTSSON - LET ME ROCK YOU SEES DIGITAL RELEASE VIA LION MUSIC ON SEPTEMBER 18 2014. The song we used to kick off our gigs with during the last year of ETERNITY. Probably the first fast song I wrote...Neoclassical metal. This one is about the end of the Viking era and how it ended with Christianity. Musically this is very typical for where I was at in 1987 when this one was written. I am not sure whether this one was ever performed live. I think when I wrote the song it was me trying to link the funky side of Hendrix and ealy Uli Jon Roth with the neoclassical stuff I was getting very much ino at the time. I did change the main riff a little bit for this version though. A slow and heavy song with quite demanding vocals. Simple yet very original and a song I think I could have written this year just as well as in 1986. This one was a live favourite and a song I recorded a number of times in different versions. Originally the song had a longer intro where synths were imitating a symphony orchestra but I felt that part did not really feel very interesting anymore so I left it out. Another very demading to sing track:-) While being a double kick metal song this one is still heavy as it's not too fast. I did speed it up compared to the original demo though. The oldest song on this compilation, Clowns was written way back in 1984 or perhaps even 1983. I think this one was never performed live. Originally twritten as a piano ballad but the verses were a bit too short so I added some extra bars and re-wrote some of the lyrics. Just before I was signed to release my first album I made an 8 track cassette album "The Final Poem". many of these songs ended up on my first album, but not this one and the title track which are both included here. This version was changed around quite a bit as some of the ideas had later been used elsewhere. Probably not the best track on this compilation and very 80-ies sounding I suppose:-) Still probably the most well known track off the album. One of the first songs I wrote and recorded mostly by myself way back in 1984. 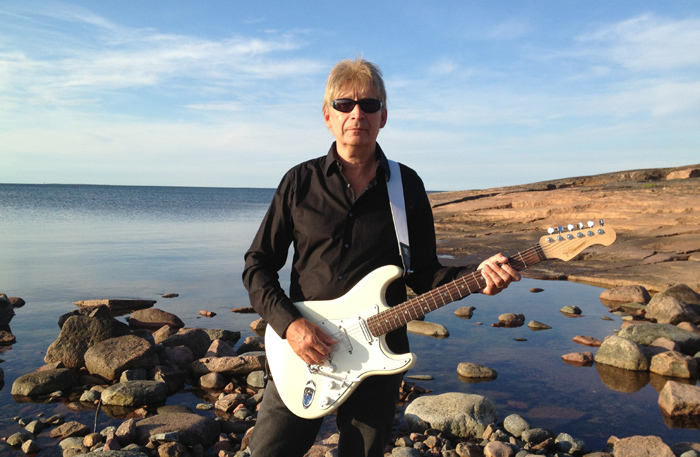 A few years later my band ETERNITY rearranged it into a slow blues and it was even recorded that way to be included on my first album but for some reason never included and later the recording was lost completely. Dating back from 1984 and performed by "Joe Cool" but the verses came from an even older track originally. A very demanding to sing ballad with a guitar theme I felt very passionate about back in the day. This one had a very different intro originally but I felt that it really did not work so I took this intro from an instrumental song from the same era and made them work together. The only instrumetal I chose to include here, originally released on a cassette album in 1987. This version was recorded in 2010 to be used on the MATTSSON album TANGO but for some reason I could not get the mix right so I didn't use it then. Now this song, performed and demoed by my band JOE COOL in 1984 was really nothing but a big joke. And now...well it's up to you. Composed 1984-87 and Recorded and mixed at the New Lion’s Cage January-March 2014.